A person who chooses to live with God chooses to face death with Him (Galatians 2:20). 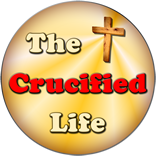 A man cannot rejoice in new spiritual life without having come to terms with the shed blood sacrifice and physical death of Jesus Christ upon Calvary. 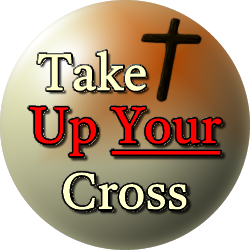 The Bible tells us as we profess a personal relationship with Christ that we will suffer (John 16:33). There will certainly be troubles and trials we face in this world, but any untoward situations will mature the man and woman of God in things of Christ and prepare hearts to spend an eternity with Christ. However, if a person falsely proclaims a personal relationship with Christ, His presence will not align with ours in this world and God will deny knowing them in the eternal realm. This means any person who claims to know God but does not, will be turned away from enjoying eternal fellowship with Him. A lost soul cannot enter the perfection of heaven and will be cast into the fires of hell forever for there is no sin in the presence of God. God cannot and will not be unfaithful to His spiritual family. If you sincerely profess to know Him in your heart He will offer sweet fellowship to you forever. If a man is unfaithful and standing spiritually opposed to things of God, that person will never abide in a personal relationship with God now or forevermore.